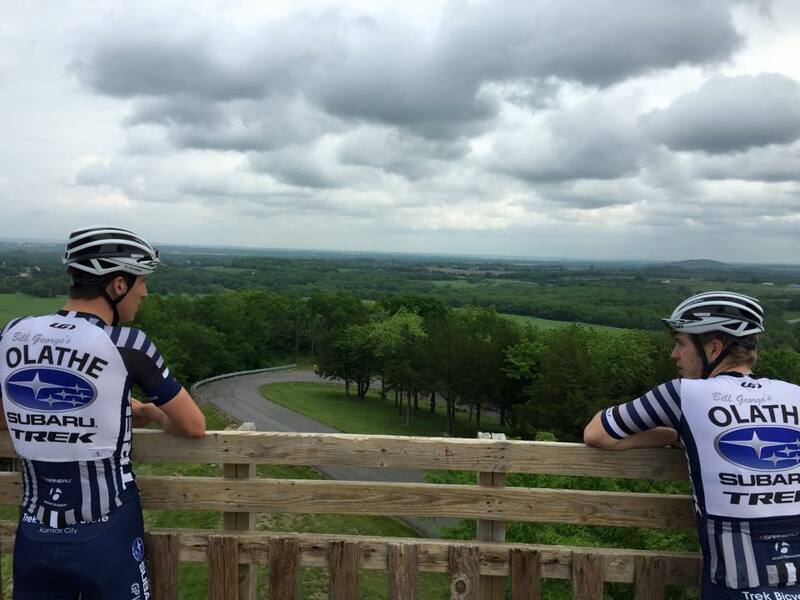 The Wells Overlook time trial, which is the first stage of the Velotek Grand Prix, is an extremely challenging course that will bring riders to their absolute limit within just 2-3 short minutes. The overall winner of this stage race has been decided by a single second in the past, meaning every pedal stroke in this time trial is crucially important if you plan on contending for the general classification win. While I’m going to leave the gritty details to you – unless of course you’re a Move Up athlete 😉 – what I will do is give you some food for thought on how to pace this event. Part 1: The Start – Explode off the blocks! In the video above you can watch Garrick Valverde – winner of this time trial the past two years – explode from the starting gate and then quickly settle into a hard, but controlled pace. Explode out of the gate, then after 5-6 seconds of hammering out of the saddle sit down and settle in for part 2. Use an easier gear that you can spin up quickly. This is possibly the hardest part of the pacing strategy because you have to put out some serious power, but also conserve just enough that you can go harder on the climb after making the turn. Strava is a very useful tool for this, and I was able to compare multiple riders from all across the standings and their pacing strategies. What I learned was pretty neat. Pushing an extra 100-200 watts will require a HUGE increase of effort for minimal return. The cost of that extra wattage is that you won’t be able to really ramp it up on the climb, and the return is maybe a 2-3 second advantage for the first part of the TT. In my experience and what I’ve learned from the data is that it isn’t worth it. After your 5-6 second hard start, quickly settle into a hard, but manageable pace. Aerodynamics are very important for this section, so curl up into the tightest aero tuck you can manage and hide from the wind! This section is still going to hurt a bit, but if you’re breathing through your eye lids before hitting the turn then you’ve gone too hard. I highly recommend getting to the course early and practicing this section a couple times during your warm-up. There’s not a lot to say here other than you should try to take this turn as smoothly as possible. Use every inch of road that’s available to swing wide and keep your speed up. Use this moment to give yourself some positive encouragement and mentally engage for the climb ahead. A few miles an hour difference can change the dynamics of a corner drastically, so it’s important that you practice the turn at race speeds once or twice. Depending on your power output/riding style, you may consider using your little ring for this climb. Avoid yelling your motivational phrase out loud. This will waste valuable energy. Some riders will complete the climb in 45-50 seconds, and others will be closer to 90 seconds. If you’re on the faster end of that range then you’ll probably be out of the saddle “sprinting” the entire climb. If you’re on the longer end of that range you’ll want to increase the pace a bit for the first half of the climb, then really unleash for the second half. Regardless of your pacing on this climb, the entire thing should feel like your going for broke. Faster riders should be sprinting this entire climb. Pacing… what pacing? Slower riders should pick up the pace a bit for the first half of the climb, then start their total sprint on the second half. Avoid letting yourself get bogged down in a big gear. Your legs are pistons and they want to go fast! Stage racing requires attention to detail on every stage, even when it’s only a few seconds at stake. In a time trial this short you can’t leave anything on the table if your plan is to win the general classification. It doesn’t matter if you use the pacing strategy I described, but you want to make sure you have a plan no matter what. Write it down, imagine yourself executing the plan, then practice it in real life if possible before the event. After your race I recommend climbing to the top of the tower and checking out the view!